WHAT: “Raise the Dough” is a fund raising event that is being held to raise money for Trooper Island. WHEN: Wednesday, April 10, 2019 10:00.a.m to midnight. WHY: To raise money for the Trooper Island. Established in 1965, Trooper Island is a free summer camp for economically challenged boys and girls, ages 10-12. Operated by the KSP, the camp is located on Dale Hollow Lake in Clinton County. Each year, the camp hosts approximately 700 children from across the state. Campers learn about citizenship, personal hygiene, and leadership. Trooper Island Camp provides fresh air, good food, recreation, guidance and structured esteem-building activities; all designed to build good citizenship and positive relationships with law enforcement officers. Trooper Island is a non-profit organization that is financed entirely by donations, no public funds are used. Contributions are tax-deductible. 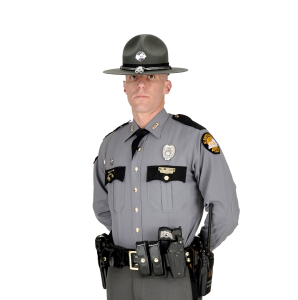 To learn more about Trooper Island visit their website at http://kentuckystatepolice.org/trooper-island/ you can also follow Trooper Island on Facebook at https://www.facebook.com/TrooperIslandCamp/ If anyone would like to donate to this worthy cause, they can mail a check to KSP Post 1 at 8366 st rt 45 North Hickory, KY 42051 or stop by post and make a donation.